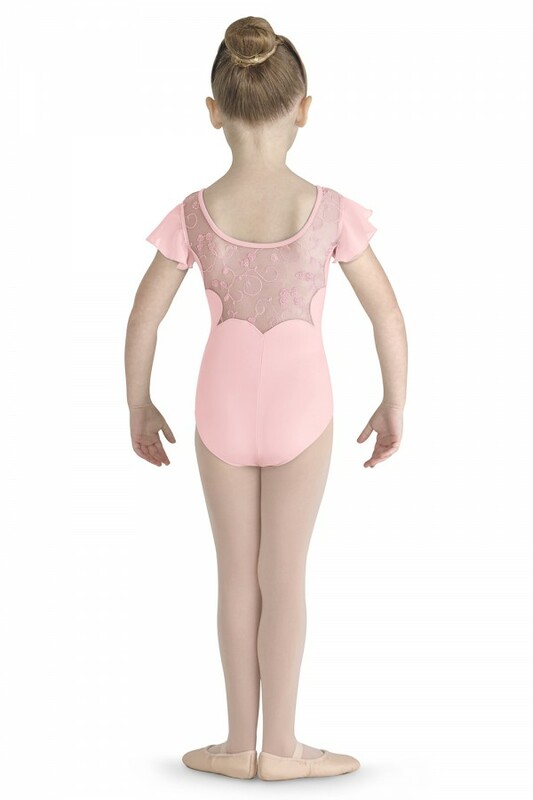 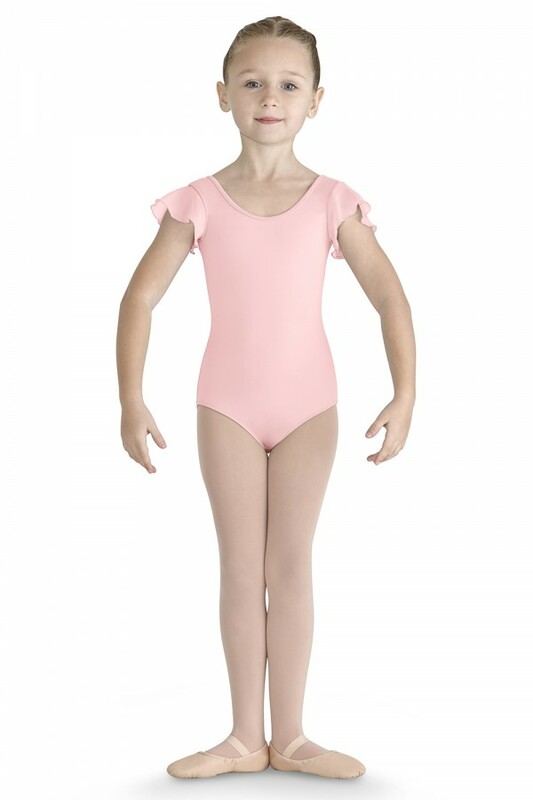 Your little ballerina will look amazing in this flutter sleeve leotard! 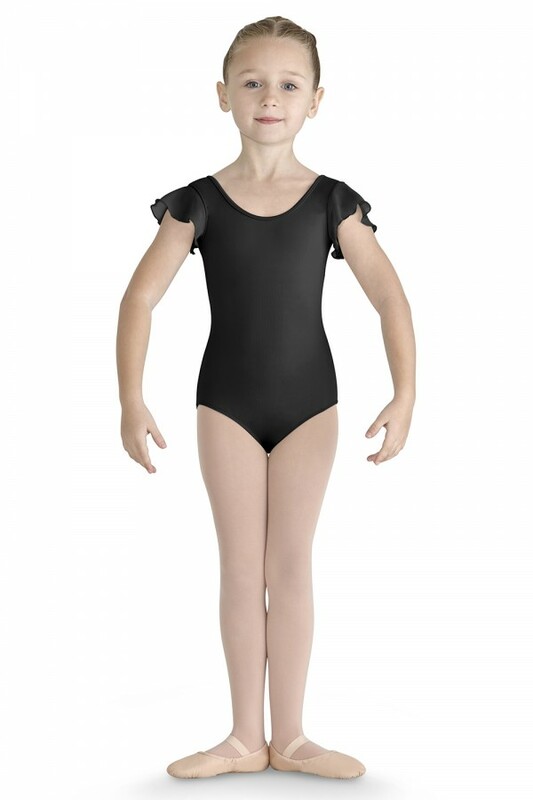 Precious flutter sleeves adds detail to this classic scoop front leotard. 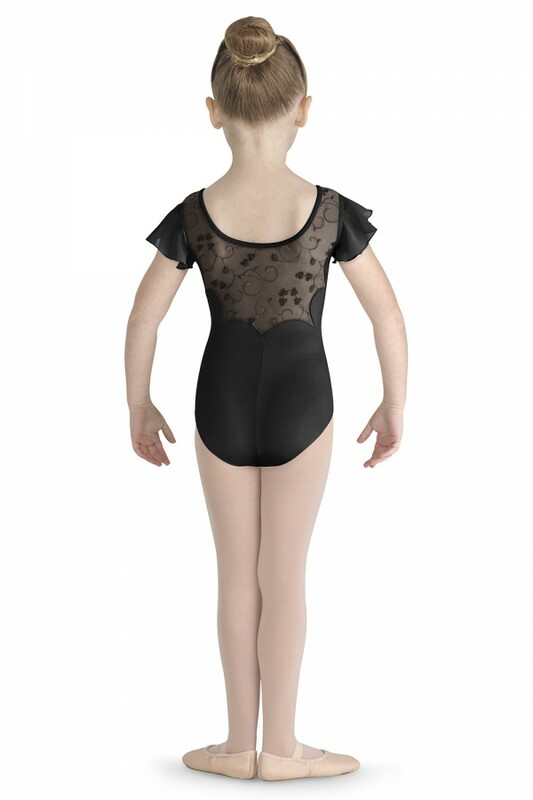 The main event is the clover embroidered mesh scallop back.